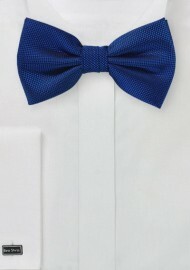 This marine blue bowtie is part of a new solid color matte woven tie collection by PUCCINI. The matte weave and solid color design pair elegance and casualness into one easy to mix and match accessory. Pair it with any of your solid or patterned shirts. Our tip: A pale blue herringbone textured shirt, gray vest, and matching gray dress pants. 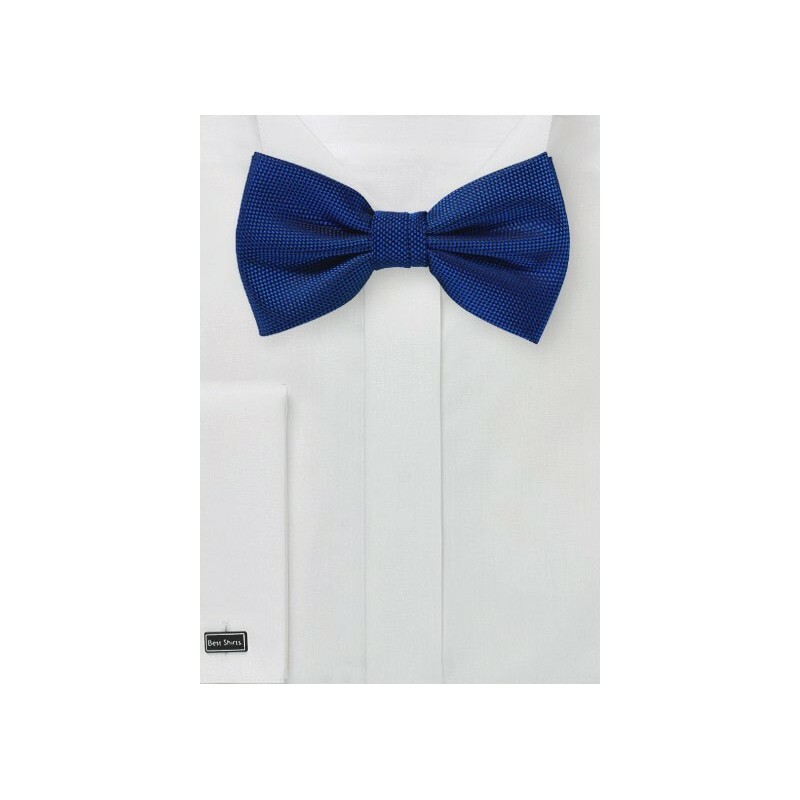 Fabric: Matte Microfiber | Style: Pre-Tied | Length: Adjustable to 19.5"